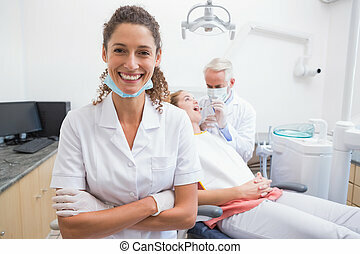 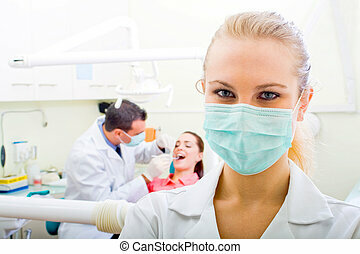 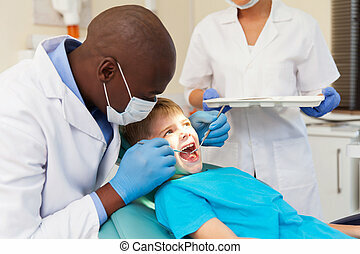 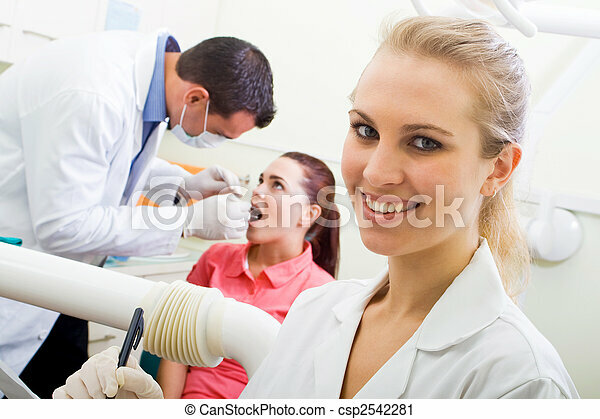 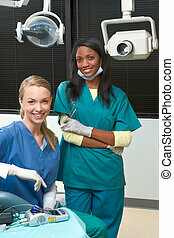 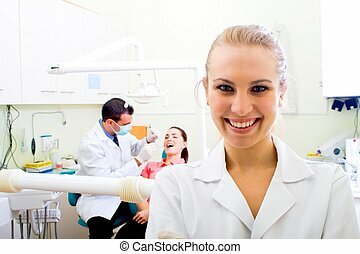 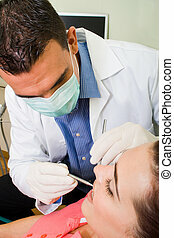 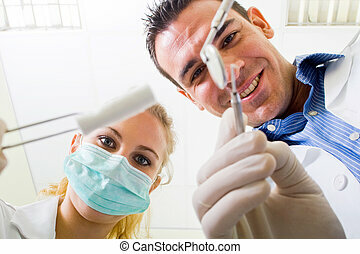 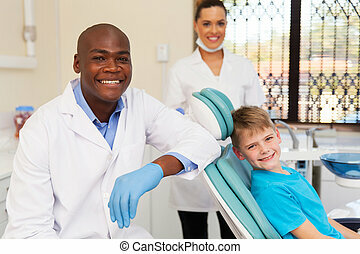 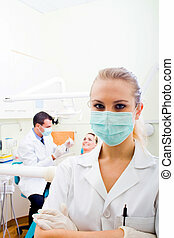 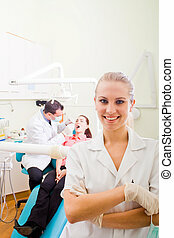 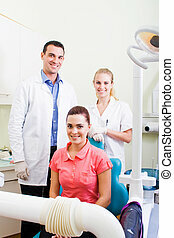 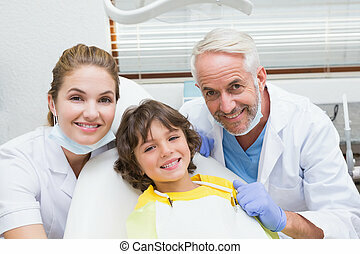 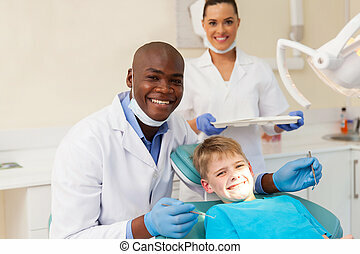 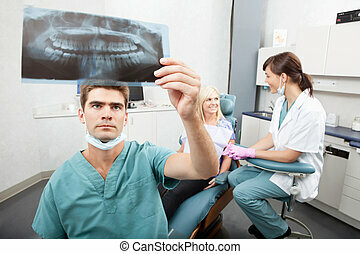 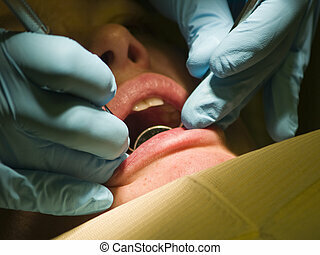 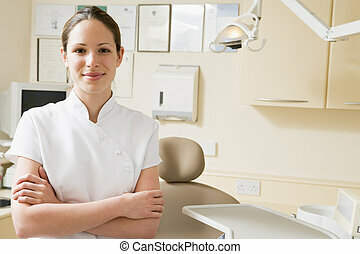 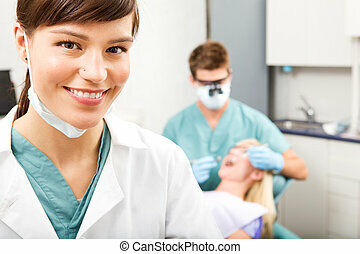 A dental assistant smiling while the dentist is working on a patient in the background. 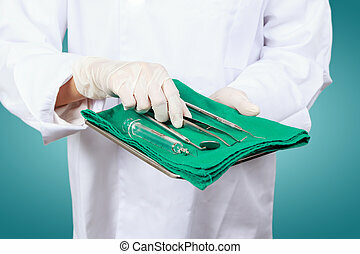 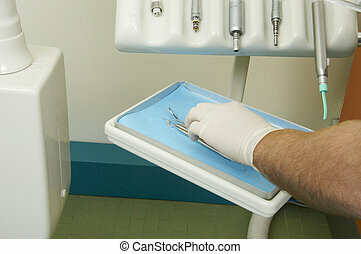 Closeup of dentist hand taking mirror from on of dental tools. 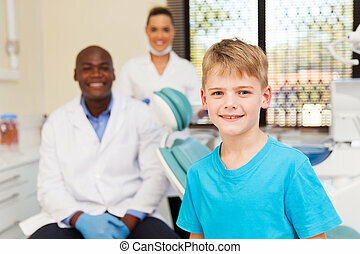 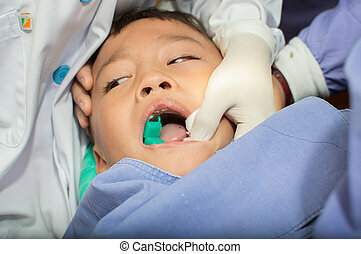 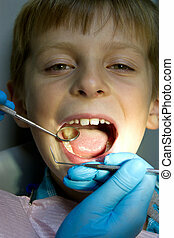 Asian kid at the dentist clinic.